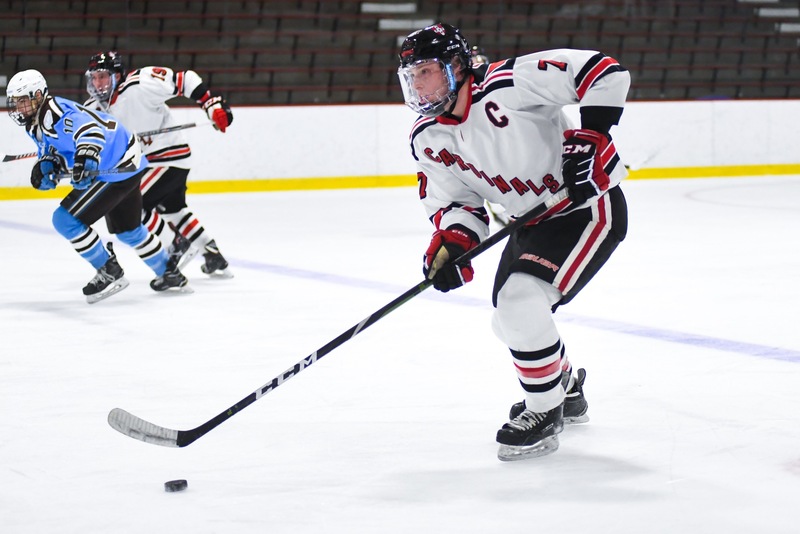 A triple major, two-sport athlete, and Student-Athlete Advisory Committee (SAAC) president, Chad Malinowski ’19 has gotten the most out of his experience at Wesleyan. From helping Wes win a national championship in lacrosse to leading the club Road to Finance, Malinowski has made his mark on our campus. The Argus sat down with Chad to learn more about his past and future. The Argus: Do you see yourself as a leader at Wesleyan? Or do you just live your life normally? Chad Malinowski: That’s a really good question. I think I have grown into a leadership role during my time here at Wesleyan. I don’t know of leaders who have succeeded in leadership roles by trying to be a leader. Being a leader happens by earning the respect of your peers, teammates, or associates by doing things the right way. I have always tried to carry myself well, respect other people, and work as hard as I can at whatever the task is. It’s not always about who is the best player or the most popular. It’s the person who is able to cultivate the respect and trust of a group. A: Why play two sports? How do you find the time to play both and be exceptionally good at the same time? Does a lot of practice come in the summer? CM: Growing up, I always played multiple sports, and when thinking about my college experience, playing both hockey and lacrosse was always something I wanted to do. Each sport presents unique challenges for preparations and performance, so I have enjoyed each of them in their own right. Sports have always been a big part of my life, so I always make time to prepare to succeed in them. At the end of the day, time management is the most important. Summers present a challenge in finding time to stay sharp in the midst of jobs and internships. I would say the fall is really the key time of preparation for me in terms of getting my body ready to handle the strain of the back-to-back seasons. At the end of the day, the schedule I have is all I have ever known, and I wouldn’t want it any other way. A: What are your majoring in? Multiple majors? What draws you to major in multiple things? CM: So I am actually a triple major in computer science, economics and mathematics. Coming into Wesleyan, I had considered triple majoring, so I started taking classes in all three majors and kind of just continued down that path. Freshman year, I sat down with an excel spreadsheet and mapped out when I would take specific requirements and identified certain electives that double-counted, so I was able to attack the triple major pretty strategically. I really love each of my majors. They really taught me to look at the world and approach problems through different lenses. This year, I have had more of an opportunity to branch out and am taking some philosophy, government, and history classes and have really tried to get the full scope of the Wesleyan curriculum even though my majors had so many requirements. A: It’s your senior year. Is there anything different you see this year in the hockey team compared to the past few years? How have things changed on the hockey team through your time at Wes? CM: I do not really think that much has changed in the hockey team this year compared to the past few. My freshman year, I knew that my senior year could be a very special one with the players in our class. Everyone has done a great job of stepping up and changing the culture of the program. Every year that my class has been here our culture, record, and expectations have only increased. We hope that as our class prepares to leave Wesleyan, we have left the program in a better position than the one that we initially inherited. A: What was it like to win a National Championship for Wesleyan? Was it as fulfilling as you thought it would be? CM: Winning a lacrosse National Championship last year was simply incredible, and I still have a hard time putting it into words. Every season, teams talk about goals for the year, and a National Championship is the ultimate one. To have put in the hard work to get better at the little things each and every day culminate in a championship is truly special and was more fulfilling than I could have ever imagined. A: Who do you do it all for? The multiple majors, dual-sport athlete, SAAC president. What’s your motivation? What drives you? CM: To be honest, I have never really thought about this question. I have always just done it. I love the majors I chose, I love the two sports I play, and I love giving back to the community that has given me so much. Being SAAC President has been such an honor to represent Wesleyan in the NESCAC and has afforded me the opportunity to better connect with the community and help to support its needs. A lot of what drives me is how much I love and respect Wesleyan. Both the hockey and lacrosse programs in particular have given me so many memories, friendships, opportunities, and more and so I try to give just as much as I have received. It has truly been an honor to represent Wesleyan and to help take these programs to the next level. A: Do you have any plans post-college? If so, what are they? Are you nervous or excited to leave Wes? CM: Next year, I will be working as an Investment Banking Analyst at J.P. Morgan. I am really excited but at the same time, sad to leave Wesleyan. I do not really feel any nervousness about leaving because I am looking forward to the next stage of my life, and I feel confident that Wesleyan has taught me the skills necessary to be successful. Wesleyan has truly been and will continue to be an important part of my life. A: What will you miss most about Wesleyan? CM: I will miss a lot about Wesleyan. I have truly loved this place, but I think the thing I will miss the most is all of my friends being in such close proximity to me and having the opportunity to see them whenever I want. It’s so unique to have a time when so many of your close friends are just a couple of minutes away and on a similar schedule.